The College Hill neighborhood is home to many historic and cultural sites and residences, as well as world-class educational institutions, such as the Rhode Island School of Design (RISD) and Brown University. Filled with art and history, this iconic area has many treasures to visit. Stop by the RISD Works Museum Store on North Main Street. Arguably the best art school in the United States, RISD awards bachelor’s and master’s degrees in 19 art and design disciplines. Peruse the showcase of prints, books, jewelry and accessories, all crafted by alumni and faculty. Grab a morning beverage at Café Pearl at the RISD Museum. A collaboration with local roaster Bolt Coffee, the café mixes up creative drinks like an espresso tonic and a matcha grapefruit soda drink. This chic café serves up artisan-crafted favorites from nearby Knead Doughnuts. Stop by Café Choklad for a savory breakfast or lunch treat. For a sweet ending, try the wicked hot chocolate — rich chocolate spiced with cayenne, and topped with fresh whipped cream and shaved chocolate. Located on Benefit Street, Den Den Café Asiana offers up satisfying Korean comfort food in the form of rice bowls and bento boxes. Be sure to try their hot-stone Bibimbap. 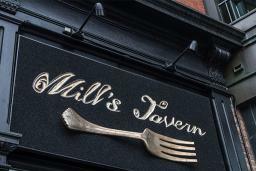 Named by "Eat" magazine as one of Rhode Island’s top restaurants, Mill&apos;s Tavern has been a Providence institution for more than 15 years. Known for their premium wine dinners, this restaurant takes a modern and seasonal approach to its menu. Guests will truly enjoy a memorable dining experience. The Haffenreffer Museum of Anthropology is located on the campus of Brown University. The museum is home to more than one million ethnographic objects, archaeological specimens and images from throughout the globe. With a focus on world cultures, the museum offers exhibits, lectures, performances and festivals for visitors of all ages. There are a number of petite parks in and around the Brown University campus, among them Circle Park and Square Park. Visit and take in the green space and gorgeous grounds. Take a tour of the John Brown House Museum, located on Power Street, and step into a world of 18th century wealth and power. 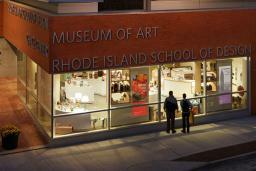 The museum is operated by the Rhode Island Historical Society, which also offers events and tours throughout the year. The RISD Museum is awe-inspiring. Collections include ancient art such as a rare fifth-century B.C. Greek head in marble and an Egyptian coffin and mummy from the Ptolemaic period. Totaling more than 26,000 objects, the museum spreads its collection throughout five buildings, each having its own niche — Waterman Building, Pendleton House, Radeke Building, Farago Wing and the Chace Center. Highlights include one of the finest collections of historical textiles in the country. Grab Insta-worthy photos from the most stunning view with a visit to Prospect Terrace Park. Located on Congdon Street, this park overlooks the city and is adorned with a statue of theologian and state founder Roger Williams. For those into horror and the supernatural, visit the memorial plaque at H.P. Lovecraft Memorial Square at the intersection of Angell and Prospect streets. Lovecraft’s College Hill walking tour is also a way to take in dozens of sites, which were influential in the life of the famed writer. 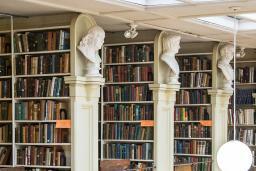 The Providence Athenaeum opened at its current Greek Revival-style location on Benefit Street in 1838. This library and cultural center includes collections ranging from natural history to travel and exploration, as well as a children’s library. Engaging events include a weekly salon for conversation and learning, as well as stimulating discussions with authors and notables. Hidden in a former private residence, Music Mansion is a center of music, offering lessons and musical events, called “musicales.” Its history traces back to a piano club in the late 1800s and current instrumentalists range from harpsichord and violoncello players to French horn players and singers of every tenor and tone. Check out their calendar of events for monthly concert dates and information. Founded on religious freedom, Providence is home to the First Baptist Church in America. The church is nearing its 380th year of service and is open to all for Sunday worship weekly at 11 a.m. Find its location at 75 North Main Street. At the intersection of South Court and Pratt streets, a plaque memorializes the life of Sissieretta Jones, a great opera singer of African-American descent. She was the first African-American to sing at the Music Hall (now Carnegie Hall) in New York. The Providence Art Club is a membership club for artists and patrons of the arts. 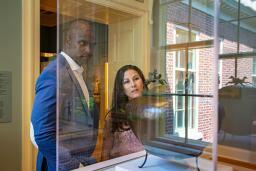 Exhibits, art classes, and programs and lectures celebrate the spirit of the arts. Interesting workshops introduce techniques such as egg tempera, an encaustic workshop and an introduction to personal map making. Pause and admire the Old State House situated on Benefit Street. This historic building served as a meeting place for Colonial and later state legislatures. The building dates back to 1760. The College Hill area is easily walkable and has limited on-street metered parking, as well as intercity bus service. Did we miss your favorite? Let us know on Instagram using #PVDPicks. We may use your photo on this page. Dennis B. recommends a visit to the Barker Playhouse. Since 1909, actors have been entertaining audiences at America’s oldest, continuously running small theater. Shows are scheduled seasonally on Fridays, Saturdays and Sundays.